The Payogan Villa Resort & Spa embraces 7 hectares of timeless landscape that is traversed by two separate river flows. 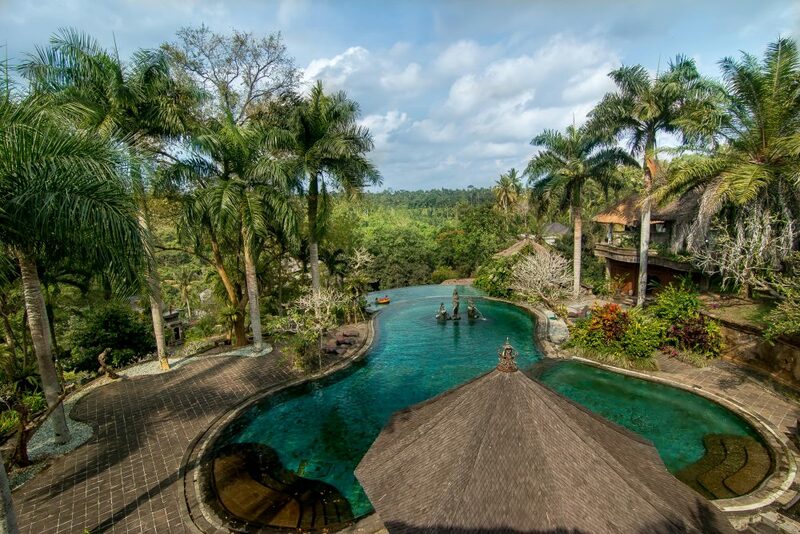 It is just a 10 minute drive by car from downtown Ubud. Enveloped by hinterland greenery, this secluded property celebrates nature’s precious bounty and the gift of each new day. This spiritually charged hillside retreat is a composition of just 45 traditional contemporary styled private villas. Architecturally, the entire property has been designed to harmonize with the surrounding environment and pays tribute to Bali’s artistic legacy.